November | 2007 | Nicole, Deipnosophist. And yet I ruined it. Yesterday, I forgot to change my shoes at work. Due to the longish (10-minute) walk from my car, I Working-Girl it and wear some stylish but comfy Merrell shoes. They’re brown, and my pants black, so when I Mister-Rogers it and change shoes at my desk, I pick shoes to match my outfit. Yes, I have a shoe collection in my coat closet at the office. Work with me here. I went to a very important meeting full of people who wear designer clothes and have no clue what Working-Girl means (in the context of shoes). Doh! There I was with brown shoes and black pants. Ugly. 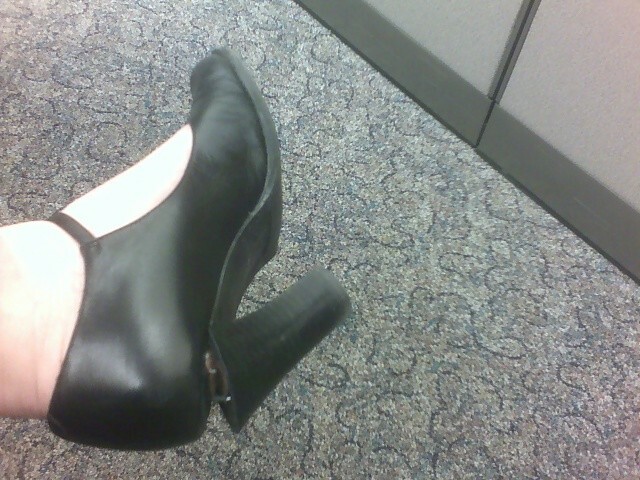 Back at my desk, I changed into my Mary Janes and proceeded my usual clomping through the halls. Then this happened. Can’t a girl catch a break? Our day started yesterday morning at four. It ended after midnight. Ainsley was very good all day, considering the fact that we dressed her up, strapped her in her car seat 5 times, drove a total of 7 hours, put her in unfamiliar situations, and wanted her to nap on a quilt on the floor instead of her bed. There were a few times during the day when she was crying inconsolably but we were there to try to comfort her and we worked as a team. I’m really thankful (really!) about yesterday. I’m glad that we have family that’s worth going through the trouble to see. I’m happy that Ainsley has so many people who love her. And I’m especially happy that she could end the day in her own bed and wake up in familiar surroundings. Her sleep-wake schedule is a mess but she’s been eating well. Today I have some cooking to do. We’re hosting Thanksgiving at our house on Saturday and most of my dishes can be made ahead. They’re twists on traditional favorites: an apple-cranberry pie, pumpkin mousse tart, green bean and shiitake casserole, and Asian-spiced fried turkey. I won’t be eating any of the turkey myself but my new eating habits are mine alone; I don’t need to force it on anyone else. We bought a foam football to toss in the yard and we have strollers to take the kids on walks. Hopefully our Thanksgiving will be full of tradition…and we can start some new ones, too. Sunday? 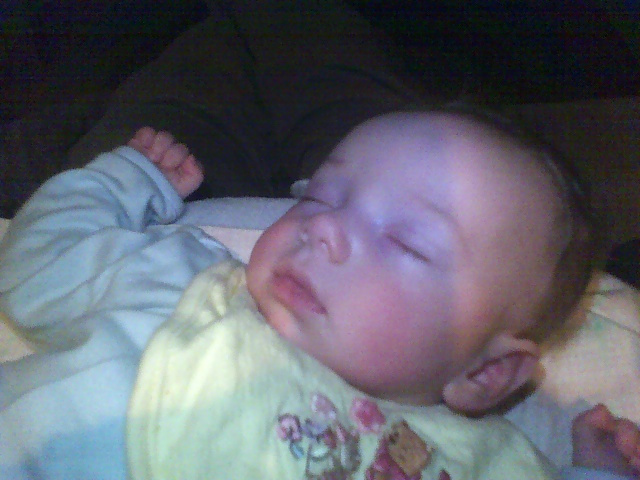 Well, I’ll be going to church with Ainsley and, other than that, I plan to sleeeeeep! My husband told me he found an enormous praying mantis on our driveway the other day. 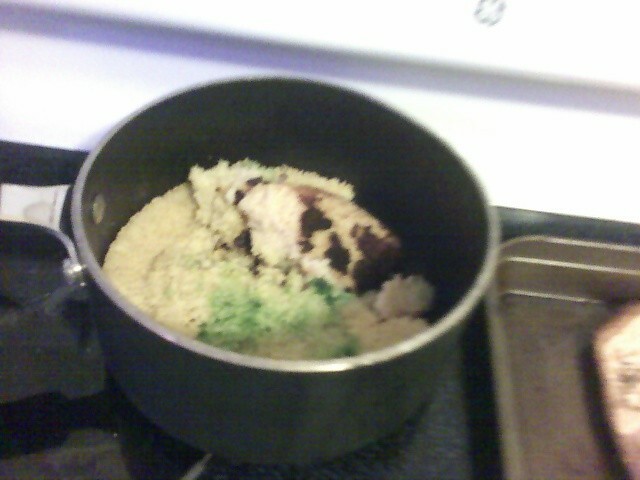 “It’s about to die,” he said. “It’s barely moving.” He moved it from the driveway to the shelter of the porch. It didn’t move for 24 hours, so he brought it inside to show me the beautiful but dead insect. “Oh *&#@!,” Carlton eloquently said. The “dead” bug started moving in his hand! We realized that it was moving more due to being in the warm of indoors. But what to do? Keep it? It was surely dying due to old age and the climate combined. We put a plastic box over it and decided to decide after watching a movie. We came upstairs to Sunny barking at something. The mantis had escaped the container and was on the carpet, flaring its wings at the little beast barking at it. We rushed to help the mantis with her forearms tangled in carpet fibers. I found a spare aquarium (no surprise there) and we protected the mantis from our many predator pets. Carlton made a dish of water for her and I googled what mantises eat. But where to find live bugs this time of year? Amy’s house after dinner! We’d been at a fundraiser dinner and talked about the mantis on the way home. The best part was that none of the three of us questioned the silliness of caring about feeding a dying wild bug. We gathered carcasses and even a live spider or two into a bag. We put it all in the aquarium, and while the mantis turned her head to look at us inquisitively, she displayed no interest in food. I even used a chopstick to nudge a live spider under her nose. She looked at it, but made no move at all. She was almost dead. As expected, she died within three days. She didn’t eat or drink anything. She knew it was the right time to go, and she died without being squished by a car or something. I’ve always had a soft spot for living things, especially sentient ones. When I was a child, my parents bought me Pets in a Jar and I devoured the book. Even bugs I never collected were fascinating. I gained so much respect for caring for them and knowing what they needed (that book even made me think planaria infecting my aquaria were cool). I still have the book. My dad and I looked at earthworms in his garden, watching them wriggle in my hands before I set them free. My subscription to Ranger Rick ensured a steady stream of new creatures and new knowledge. I loved them all- even slugs, especially spiders- and I still don’t kill spiders in my home. And not only is all of this true, it’s one of the things I really like about myself. So alas, poor mantis, we barely knew ye, but we enjoyed meeting you and hopefully you enjoyed having food and water as you shuffled off this mortal coil. Shakespeare + bugs. Up next: Britney haiku. When I heard the ad for this event, I was a little repulsed. Seriously, is this necessary? Eat meat if you want. Don’t be so disrespectful to creatures who die so you could eat. I believe that God gave us dominion over the earth and all its creatures. However, with responsibility comes…well, responsibility. If I’m 16 and my parents give me the keys to the car, I have “dominion” over it, but that doesn’t mean that wrecking the gift they gave me is the right thing to do. Similarly, I feel that God gives us many gifts and that we should humbly accept them and treat them with the right amount of respect. Think about earthly gifts given to you by someone you love. You cherish them, right? If it’s a statue or trinket, it’s displayed prominently in your home, and lovingly preserved. If it’s food or concert tickets, you thoroughly enjoy the experience your loved one gave you, savoring every moment. So why would we treat gifts from God in such a lesser fashion? OK, the fridge thing is addictive. I realized that if they had a day of the week for other storage areas, it might strike enough fear in me to make me organize them! 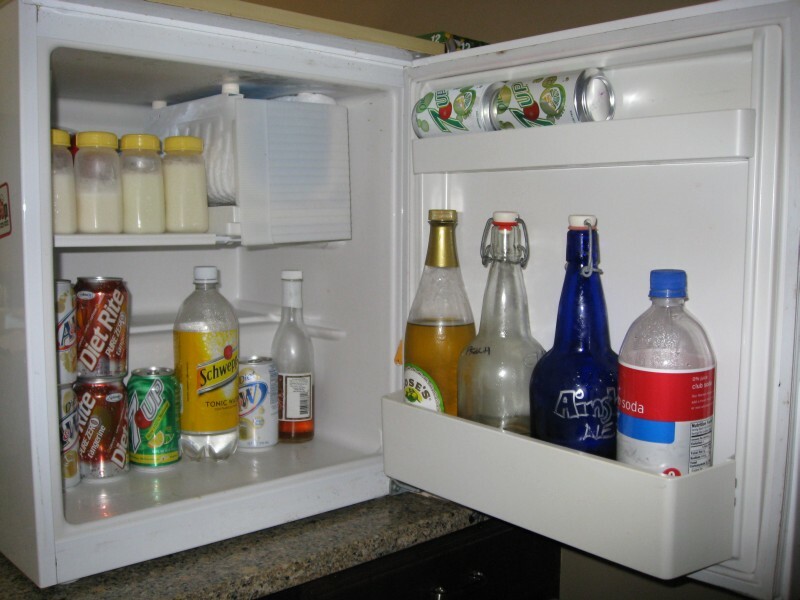 But as it is, my refrigerators are in pretty decent shape. So now for my other refrigerators. First is the keg fridge. I love this refrigerator because it’s unique. 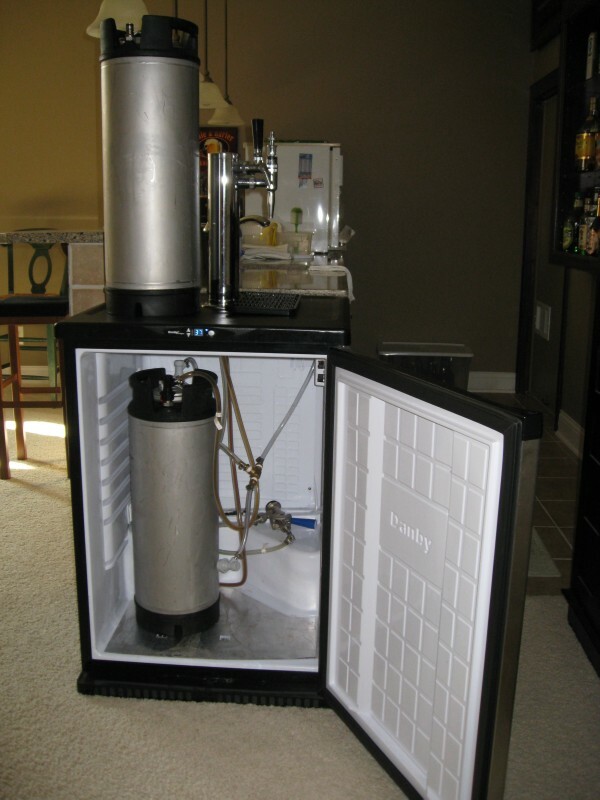 How many people have a three-tap keg fridge for homebrew? This refrigerator was originally for a store-purchased regular keg. I purchased the triple-tap and fittings so it could hold three homebrew kegs, and even have a special tap handle for stout. In this photo you can see only one tap is in use. Sadly, I realized that this year’s Oktoberfest would be Januaryfest or Februaryfest or may not happen at all. The two weekends we picked for this year both had multiple conflicts for key guests. We held out hope until last week, when the Nut Brown tap ran out! Hard to have a brew party when the beers are gone. We admitted defeat and put the Red Amber on tap. Hey, we’ll still have guests to drink beer…just not all at once. The keg on top of the fridge is the empty; inside is the red amber and the mess of CO2 and beer lines. The CO2 cylinder is underneath the bar sink. Ainsley is three months old. Time doesn’t fly. For some reason, this has been a very long three months. Maybe it’s because I’ve felt so many emotional highs and lows over the past 90 days; maybe it’s just that I’ve been awake a larger percentage of the time! But it doesn’t feel extra long because it’s been awful; it has been a lot of fun. Lately she’s been smiling and cooing a lot and that is very rewarding. She changes little by little; a new facial expression, a new fat roll, a new skill. My flexible work schedule means that I’m not missing her grow. My wonderful husband makes sure that sometimes I do miss it: he takes over and lets me sleep. I’m still new enough at this that I miss my freedom. Every nap is a brief chance to go back to “single” behavior: watching a movie, cleaning the house, blogging, cooking. As she grows, she’s awake more, and that flexibility to do stuff other than educate her…well, it’s dwindling. I don’t want to be the kind of parent who absentmindedly carries the baby around without really paying attention to her; on the flip side, I don’t want to coddle her too much and stifle her independence. Happy three months on this side of the world, little one. I hope I can be a good mommy.